Specialty: Fab-less semiconductor design company, produced the industry's first WiMAX chip, Manufacturer of Microwave Network products and development and supply of wireless communication and OFDM broadband modem chips, 4G cellular chipsets. Lucite paperweight featuring the Wavesat DM256, the industry's first WiMAX chip. This example is an Engineering Sample version of the original DM256 chip assembled in plastic quad packaging. The Wavesat DM256 was a digital signal processor - the main component of an OFDM modem for use in WiMAX wireless broadband systems. 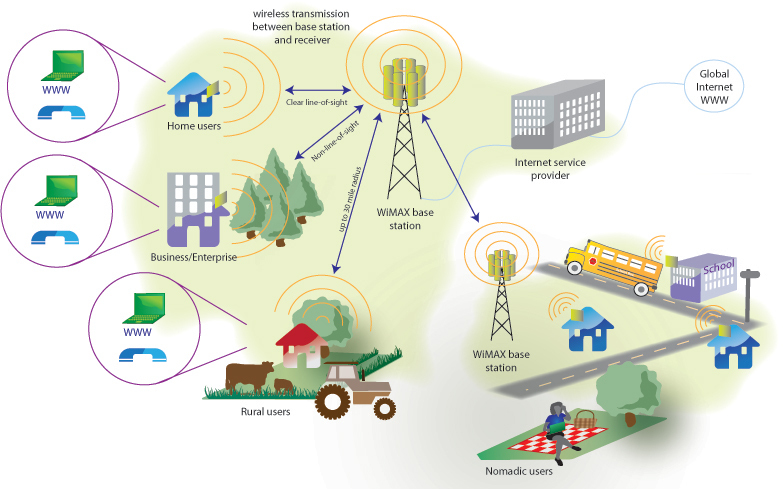 Wavesat was an early pioneer in designing WiMAX mobile broadband integrated circuits for the world’s leading carrier and mobile device manufacturers, competing with Beceem, Sequans, Intel & Fujitsu. 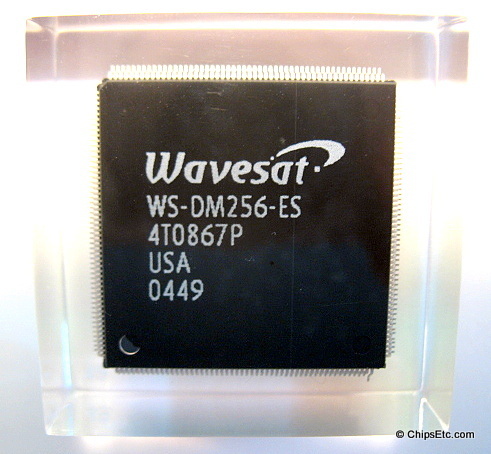 Wavesat was a fab-less semiconductor company - they partnered with various companies like Atmel, SK telecom & IBM to manufacture their telecommunications chips for them. In 2011, Wavesat was bought out by Cavium Networks, Inc.
New / Unused, Measures 1-5/8" x 1-5/5" x 5/8".